For those looking to add some serious flair to the interior of their designer homes, consider something from Ibiza – a fun painted furniture collection by Kare Design. From tables to storage units and mirrors, this colorful collection aims to surprise and excite. The patterns and design ideas blend modernized oriental and classic styles for a truly unique and global look. 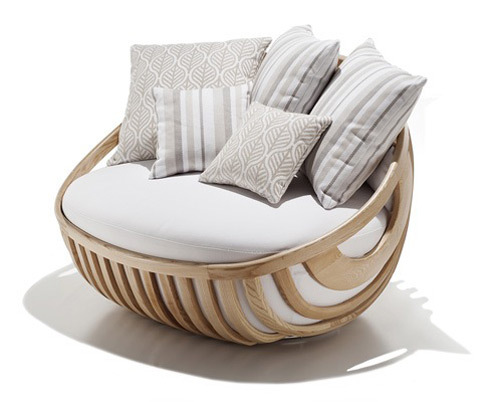 Ibiza furniture items are passionately hand painted and made from acacia and mango wood. Get more information on home and decor at Kare Design. 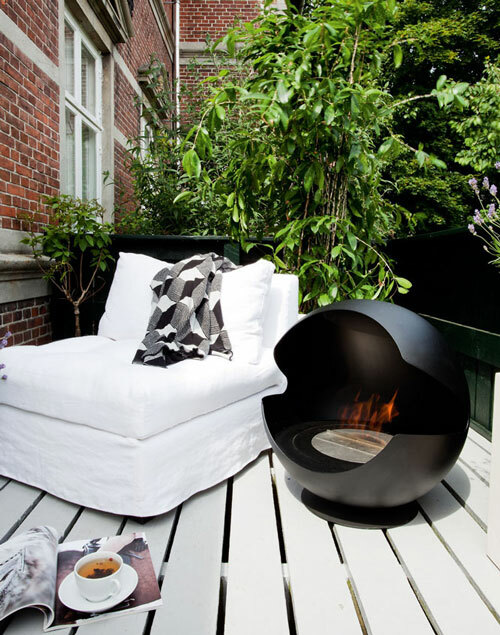 The lovely Globe bio ethanol fireplace by Vauni is meant to be enjoyed all year round, inside or outside of your beautiful homes. Who says the comforting glow of an outdoor fireplace can’t be enjoyed on a midsummer night’s eve? Its appealing spherical design ideas are meant to look great as a structure but also to encourage friendly gatherings around it. 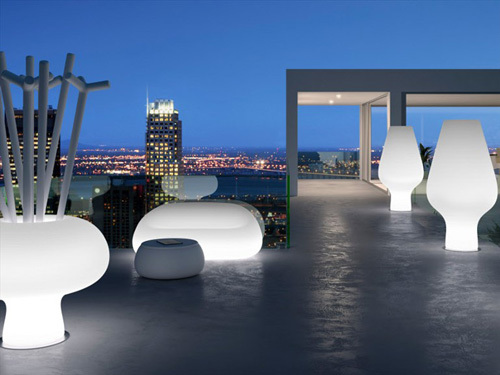 Globe is a unique piece that will enhance any modern outdoor or indoor interior design. Whether free standing or elevated by a foot, this fireplace can be easily rotated 360 degrees for optimal enjoyment. Globe is designed by interior designer Markus Grip and is available in two variations; cast iron with a matt finish or polished black granite. Visit Vauni to learn more on interior decorating and outdoor furnitures for your designer homes. 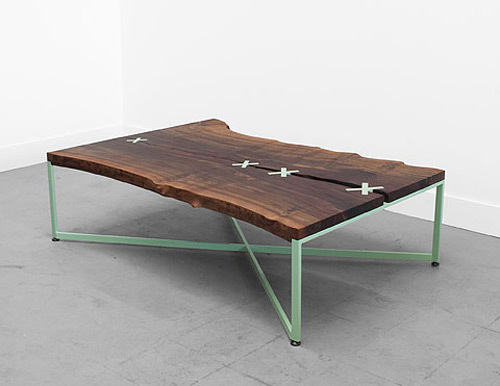 No need for interesting coffee table books when you have a Stitch Table, made by Uhuru Design. It has a unique aesthetic and makes for a great conversation starter. The top is made of a wooden slab with a naturally occurring split. Held together by four stitches made of recycled plastic, it sits a top a matching base made of powder coated blackened steel. Because each wood slab is locally milled and dried, no two tables are exactly alike, ensuring a unique piece every time to fit in the interior design of your designer homes. The contrast between the colored steel and stitches against the natural beauty of the wood top slab is really hip and striking. This table is sure to warm up and cheer up any modern space. Visit Uhuru to find out more on other design ideas for your beautiful homes. It’s not everyday that you come across design ideas like Cocon by Super Ette – an upholstered armchair with a unique removable cover. Many of us have trouble parting with the coziness and warmth of our duvet covers in the morning, knowing we’ll only be reunited with that feeling at the end of the day. 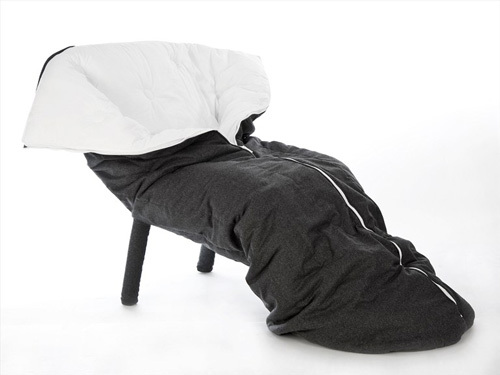 But with a chair like Cocon, we can increase the amount of warmth and coziness throughout the day as well. It’s the perfect chair for amazing snuggle sessions in modern contemporary designer homes or your office settings. 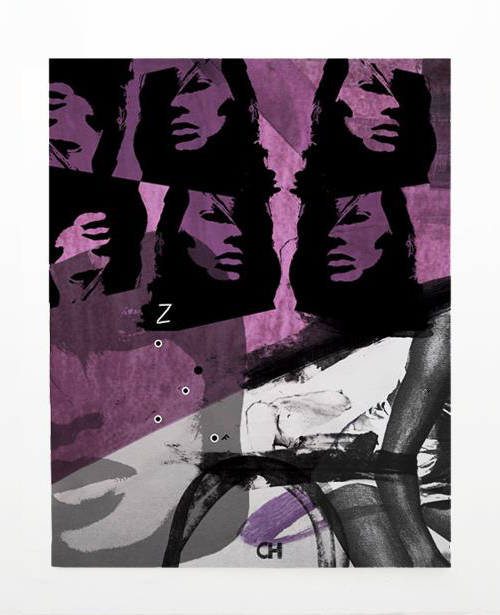 The duvet cover is removable and washable and allows you to zip yourself up in contentment whenever you need it. 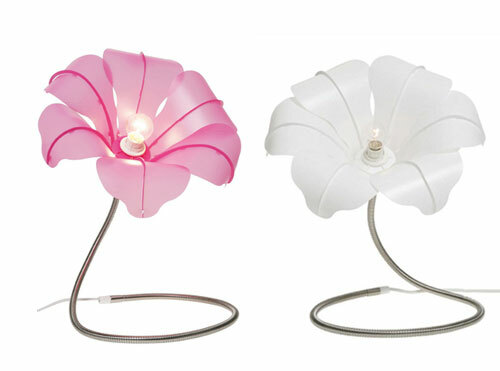 Find out more on interior decoration and home decor products at Super Ette.